Patrick Meier, Ph.D., is bringing humanity to robotics. In his lecture, presented by the 2017 Stanley Knowles Humanitarian Service lecture series, Meier speaks on his endeavors to make robots, specifically drones, accessible to developing communities. These vulnerable Nepali villages had turned into a free-for-all for independent tech teams to fly their drones around the affected areas. The drones frightened the residents of these remote communities and inhibited helicopter rescuers from lifting people from out of dangerous conditions. “They were drone cowboys, in this new wild west,” stated Meier. Drawing from his experience, Meier decided to give the power of tech to the people of these small villages. When in Nepal, Meier opened the first “Flying Lab,” a workspace for locals to come in and learn how to operate drones themselves. By the end of his time, Meier had taught a team of Nepali residents how to splice together aerial photographs to create an incredibly detailed map of their region. In turn, Meier’s initiative has granted other locals, relief groups, and government officials a whole new perceptive on how to rebuild their community. Since 2015, the Nepali Flying Lab has thrived. Massive leaps in knowledge are being achieved by the digitization of the Himalayan landscape by the people who know it best. Since the implementation of a Flying Lab in Nepal, the idea has taken root, and now there are two more labs in Peru and Tanzania. The Peruvian Flying Lab is located amongst the vastness of the Amazon Rainforest and has utilized the technology of drones to act as carriers for medicine to be delivered to remote Peruvian villages in as little as 30 minutes. A concept to help battle the Zika virus with drones is also in incubation at the Flying Labs in Peru. The method of releasing sterile male mosquitos to decrease the numbers of the Zika carrying insects has already been put into practice and is wildly more efficient than using insecticides or harsh chemical sprays. Meanwhile, the Tanzania team has employed the drones to monitor environmental changes along its coastline and track marine life migratory patterns. 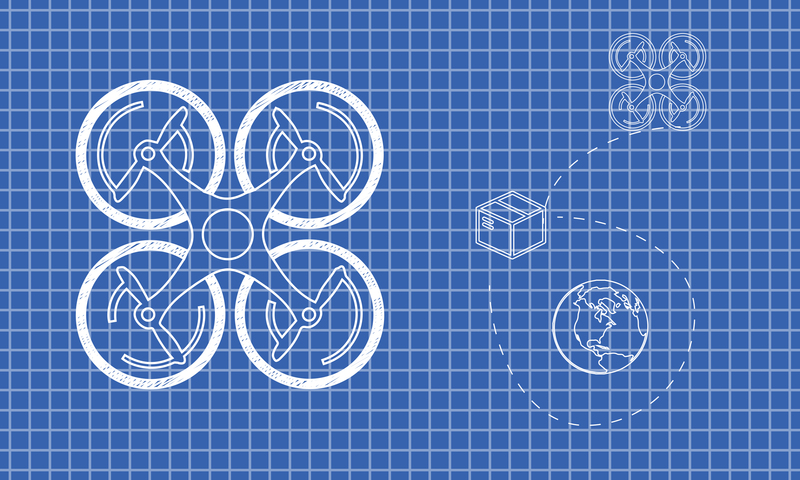 Meier is excited to see the Flying Labs grow and reach more members of the global community. Meier also hopes to cultivate a cross-pollination of data and techniques between Flying Labs. As the area in which each lab exists is incredibly different from the next, each team has a lot to offer one another when it comes to building upon the others’ knowledge. Most importantly, these Flying Labs are there to serve the locals and allow them to help their community. A 21st-century answer to the age-old question of whether to give a man a fish or to teach him is demonstrated through this invention. The Flying Labs are built upon the organization WeRobotics, an initiative started by Meier and his colleagues. Visit werobotics.org for more information.